All Kehilla members are invited to join us for our customary meetings on the second Monday of the month in the Fireside Room. 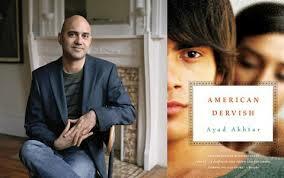 American Dervish by Ayad Akhtar Monday, April 11, 7pm. American Dervish is a brilliantly written, nuanced, and emotionally forceful look inside the interplay of religion and modern life. 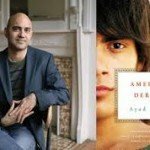 Ayad Akhtar was raised in the Midwest himself, and through Hayat Shah he shows readers vividly the powerful forces at work on young men and women growing up Muslim in America. 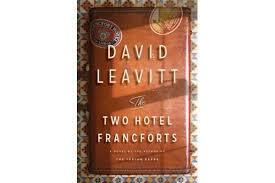 This was a book recommended by Rabbi Burt. We have confirmed that he will be attending the group to join in the discussion. 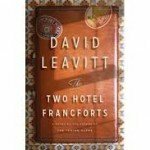 The Two Hotel Francforts by David Leavitt Monday, May 9, 7pm. SS Manhattan, two couples meet: Pete and Julia Winters, expatriate Americans fleeing their sedate life in Paris; and Edward and Iris Freleng, sophisticated, independently wealthy, bohemian, and beset by the social and sexual anxieties of their class. As Portugal’s neutrality, and the world’s future, hang in the balance, the hidden threads in the lives of these four characters―Julia’s status as a Jew, Pete and Edward’s improbable affair, Iris’s increasingly desperate efforts to save her tenuous marriage―begin to come loose. For more information, please contact Jan Herzog at Jan@kehillasynagogue.org. Neither of these books is from the Jewish Library, so please look in the library or obtain from your independent book store.